Dr. Craig Haga graduated from Iolani School in 1983 and attended University of Denver for his undergraduate degree. Shortly after, he enrolled at Northwestern University Dental School, where he graduated in 1990. He went on to complete his post-graduate endodontic training and obtained his master of science degree at Northwestern University Dental School. In 1992, Dr. Haga joined Endodontic Associates as a second generation endodontist. Dr. Craig Haga's father, Dr. Carl Haga, founded Endodontic Associates, LCC in 1966 and built a practice with the foundation of quality root canals and exceptional customer service. 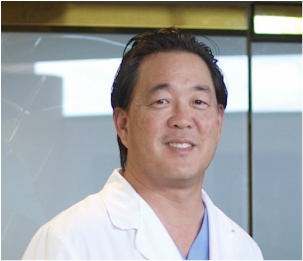 With over 20 years of experience in conventional, microscopic and surgical root canal procedures, Dr. Haga is focused on continuing the legacy of excellence. His goal is to make every patient comfortable during and after the procedure. Life away from the practice for Dr. Haga includes spending time with his family and friends, golfing, playing basketball, and watching sports.